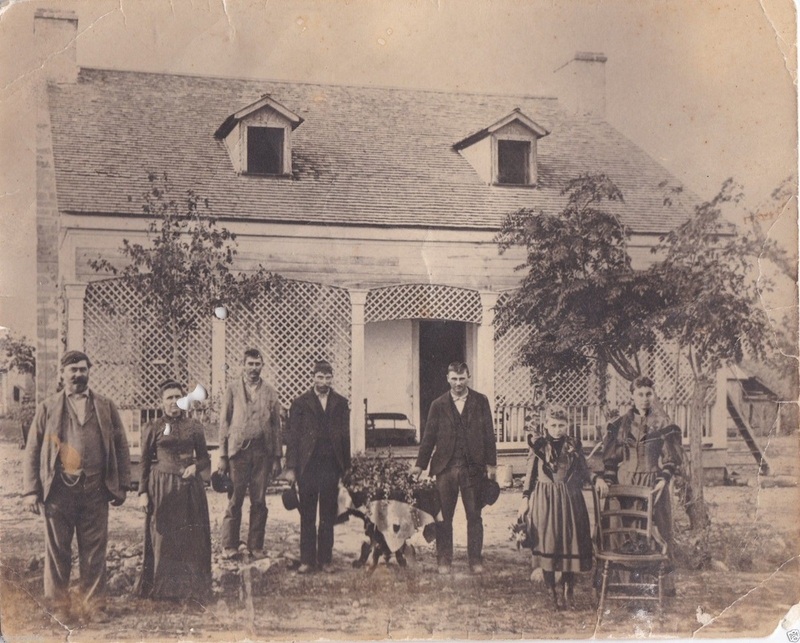 ​Family standing in front of their house. Perhaps some of these men may have been brothers? Laborers? This photograph must have been an extravagance, so the family have dressed for the portrait. Notice that the daughters are wearing finer clothes than their parents. This house combines Greek Revival and Gothic Revival details, Albumin print, Grand Prairie, Texas origin. Private collection.